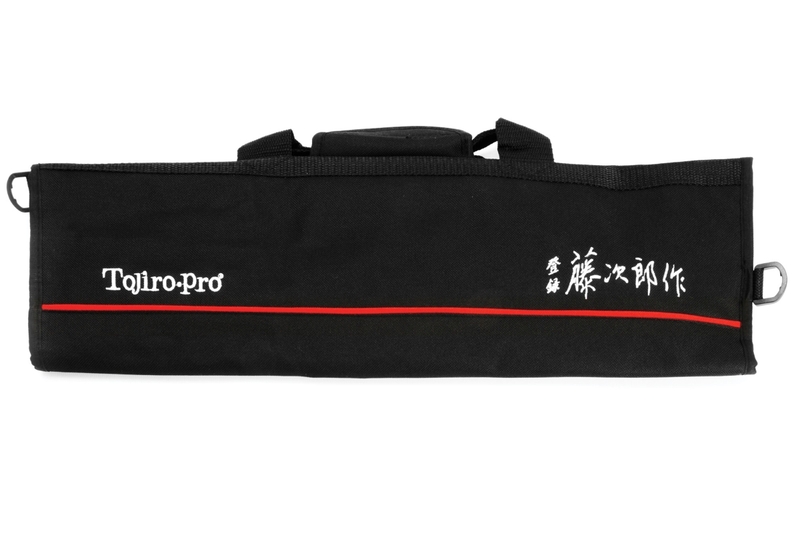 This knife case is perfect for both professional and home chefs on the move. Whether you are taking your cutlery & culinary accessories to your next cooking class, or if you are a chef going to your restaurant; you can be assured that your cutlery will be protected and safe. This 8-pocket knife case features a separate zippered compartment that securely holds the knives. Velcro tabs securely seal the bag. Includes is a shoulder strap.